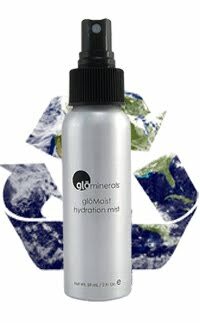 glo Beauty Blog | Makeup How-to's & Skincare Tips: What to do with Hydration Mist Canister? What to do with Hydration Mist Canister? --Fill it with water to use as a spritzer at the pool (beach, for you lucky coastal people!). --Use it as a plant mister. --Use it for a mister when ironing clothes. --Fill it with water and keep it in the fridge to cool off the skin after really hot days of yard work. --Try it out as a travel-size container for: hair spray on-the-go, travel bug spray, travel hair scrunching gel, travel-anything-you-need-a-sprayer-for! Create some cute labels or use stickers so you don't accidentally put hairspray on your arms and legs though! If you have other ways you've reused this versatile container, share in the comments section!